SilkDamask : Hard Times for a Shoe Seller. Cosmopolitan Consumption: New England Shoe Stories, 1750-1850 opens in February at the Portsmouth Athenaeum. The shoe token illustrated below forms part of the exhibit and while it is from New York City it is linked to the Portsmouth area in that odd way history joins events, places and people, or perhaps in that odd way we link people, place and events. This small copper token is dated 1837 on the reverse and represents a shoe merchants resolve to maintain his business at a time when the United States government failed to meet its fiduciary responsibilities. This copper piece, known as a Hard Times token, was privately struck to replace the shortage of currency that occurred from the mid-1830s through the mid-1840s. Several factors led to this predicament. A real estate bubble collapsed and at the same time questionable banking practices flourished. (How little things change.) In 1832 the charter of the Second Bank of the United States was not extended, which precipitated the banking crisis. The closure of the Central bank took 4 years during which time banking was decentralized and deregulated. This in turn fueled an overextension of credit and as the economy shrank the undercapitalized banks collapse in unsecured debt. With a shrinking economy gold and silver resumed their primacy and by 1837 hard currency was desired and honored over paper currency. 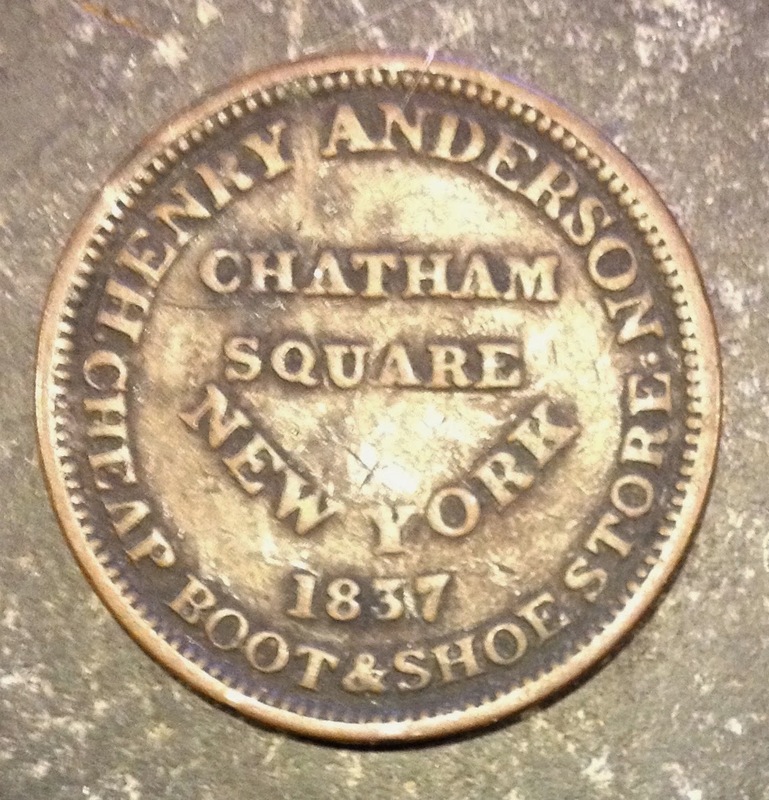 Henry Anderson’s shoe business was located at Chatham Square, in what is now the Lower East Side of New York City. 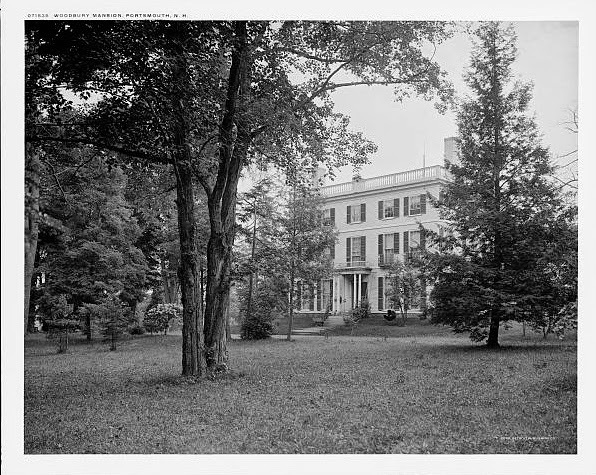 At the time, Chatham Square was an establish shopping area and one of the major stops on the Boston Post road--the primary land route that linked New England with New York. 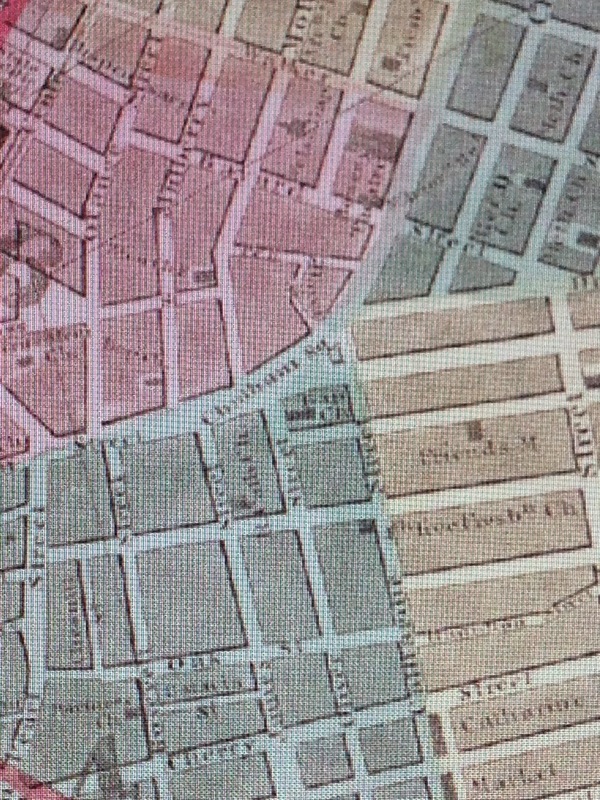 The square, named after William Pitt, 1st Earl of Chatham, was connected to the lower part of Manhattan by Chatham Street. In case anyone looks for Chatham Street it was renamed Park Row in the later part of the 19th century. 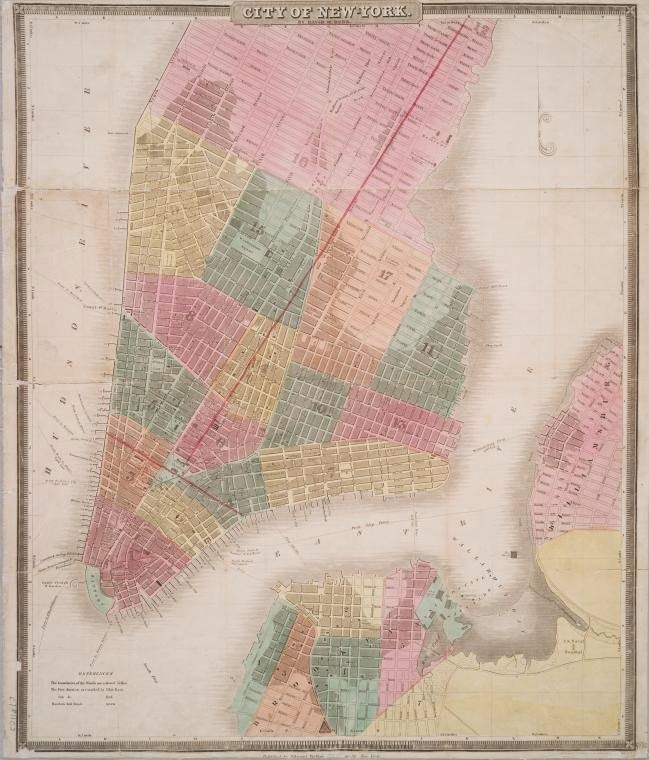 Back to Henry, in Longworth’s City Directory of 1839, Anderson’s shoe business was listed at 158 Chatham Street and his residence, listed at 177 Walker Street, was several blocks from his business heading up the Bowery. Walker Street at this time began at West Broadway near St. Johns Park and ended at Division Street, but did not join Canal Street as it does now. Perhaps the changing neighborhood of Chatham Square may be part of the answer. 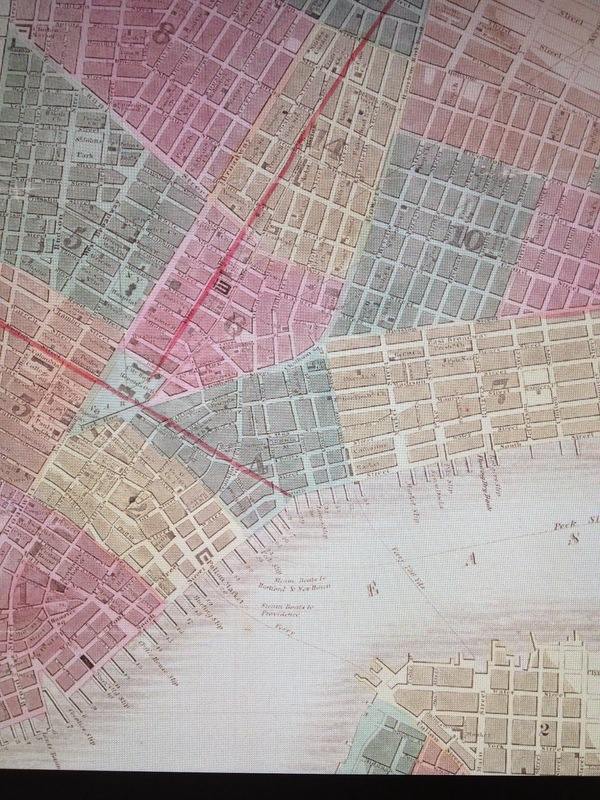 Chatham Square formed one of the city-side flanks of the infamous Five Points neighborhood. Additionally, Chatham Square was the starting point of the Bowery, which in time would develop into an area of theaters, then bars and flop houses. However, in 1837 it was still part of the Post Road system and attracted a cross section of travelers and shoppers. Was Anderson successful enough to live separately from his business, or was there no room at his business to reside? There is no answer at the present, but it is worth noting that the compilers of Longworth’s Directory noted the distinction between the business and residential addresses. Several images from the 1840s and 50s exist for this area and help to impart a sense of the urban experience of a shoe shopkeeper in the early to mid-19th century. The first, circa 1847, by Nathaniel Currier of the future Currier and Ives, shows the square with a stagecoach entering the area and pedestrians walking on the sidewalks. The street posts that accommodate awnings to protect pedestrians are an intriguing solution inclement shopping. 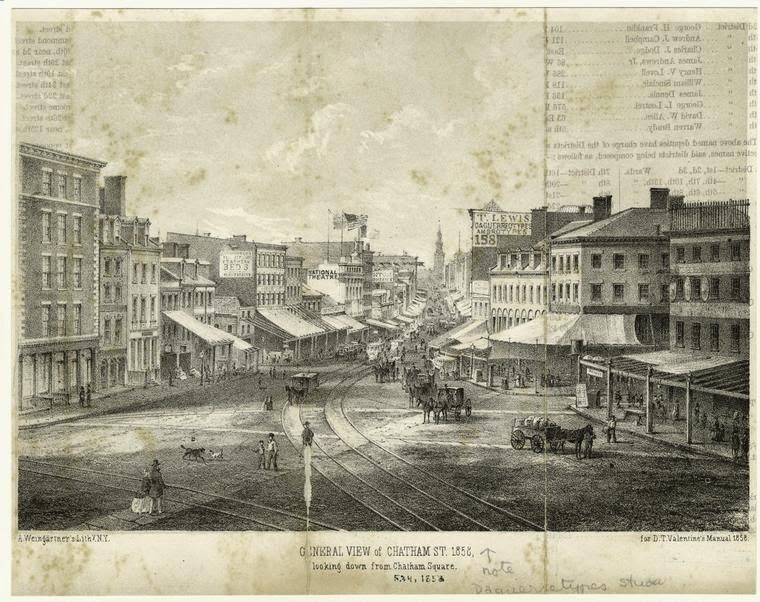 This view of Chatham Street in 1856 now includes streetcar tracks and shows the view down Chatham Street toward the lower section of Manhattan. 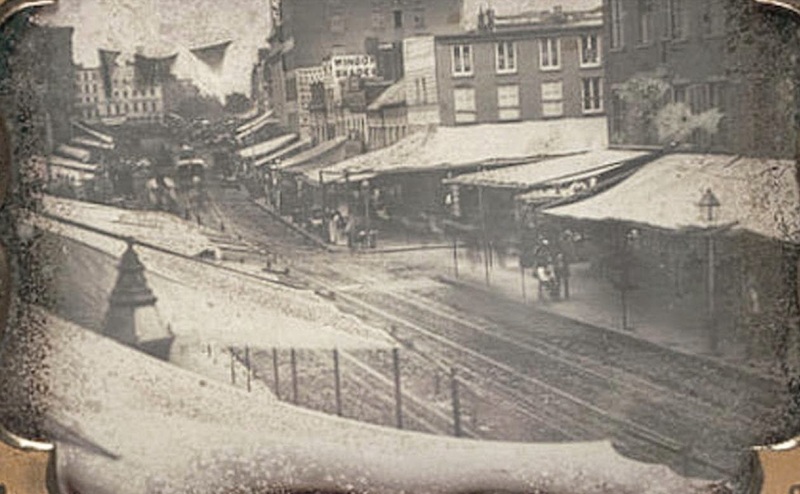 Chatham Street and the square were daguerreotyped in 1853-55 and this image is one of the earliest such view of the city. 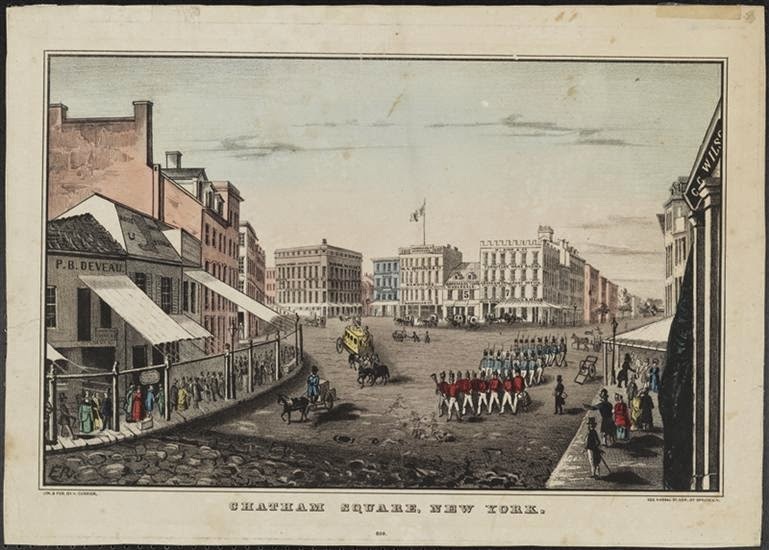 The view opposes that of the 1856 lithograph and looks up the street from lower Manhattan toward the square. 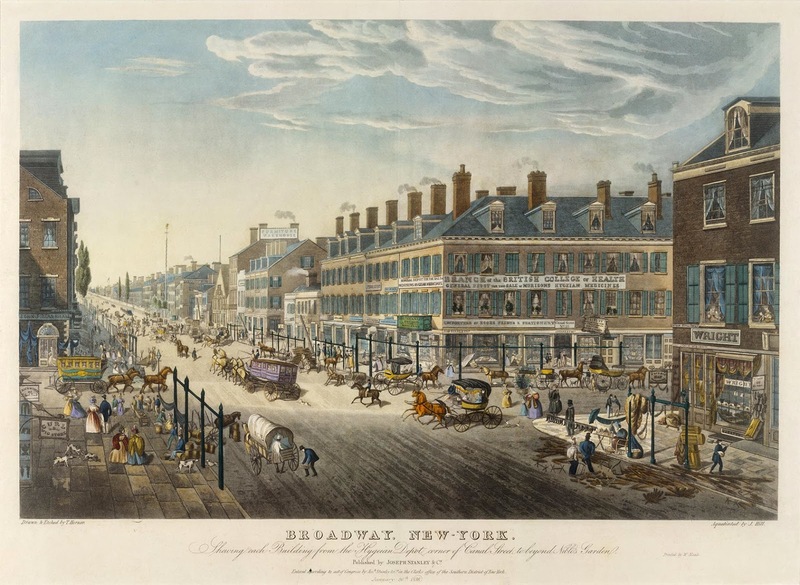 This image of Broadway and Canal Street from 1836 gives a fuller sense of the dynamic neighborhoods that filled this section of Manhattan. The link to Portsmouth is through a resident of that city. In 1832 when President Andrew Jackson chose not to extend the charter of the Second Bank of the United States, he did so with the aid of his Secretary of the Treasury, Levi Woodbury of Portsmouth, NH. 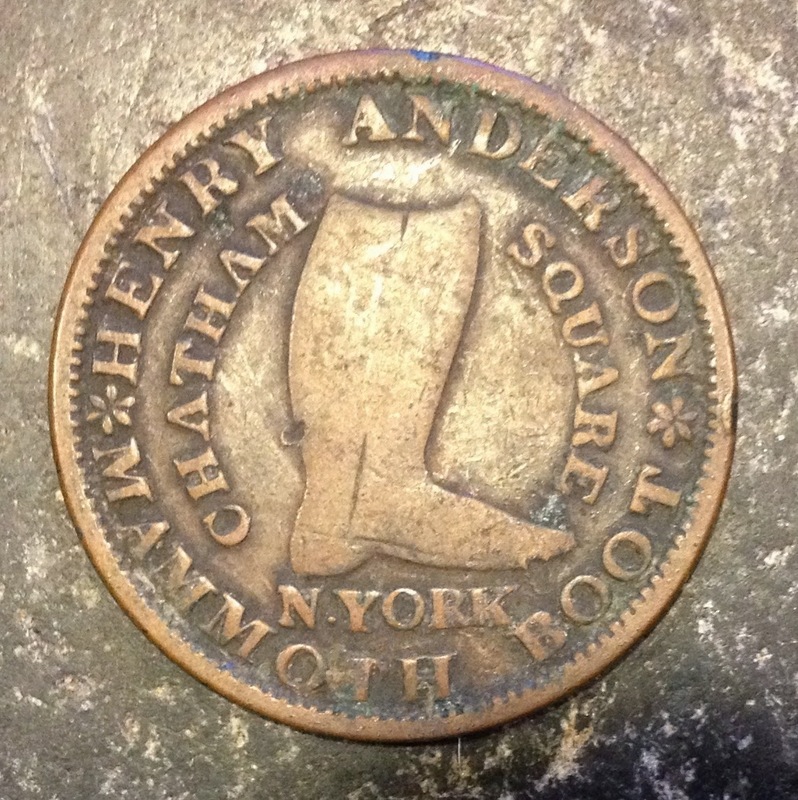 The indirect actions and political machinations of a resident of Portsmouth caused a shoe seller in Chatham Square, NYC to order tokens that advertised his shop while simultaneously providing change for his customers because of the ensuing fiscal crisis. I wonder if Woodbury ever took the stage from Boston to New York City and passed Anderson’s shop? It is unlikely, but not impossible, such are the dreams of regional history.